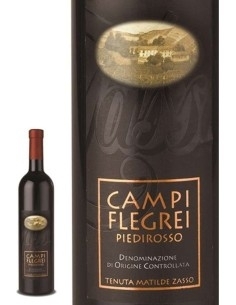 Asprinio Frizzante is a wine produced in Campania by I Borboni. 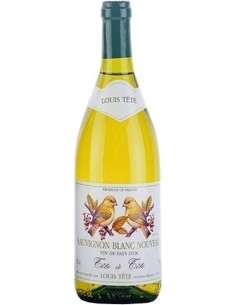 It has a straw-yellow color and the nose is pleasantly citrus with apple notes. On the palate it is fresh and sour as only an aspirin can be. 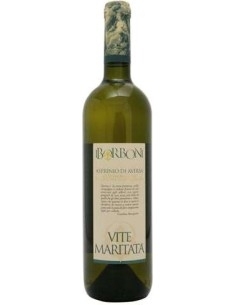 Great to drink as an aperitif or to accompany delicate dishes such as fish, shellfish and seafood. 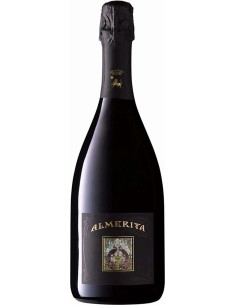 Great to drink as an aperitif or to accompany delicate dishes such as fish, shellfish and seafood. In 1998 the family home, built on a tuff cave in the bowels of the historic center of Lusciano, patiently recovered according to technical standards, finally returned to being the winery of the company. The Numeroso family winery originates from the early twentieth century, and since then has bred asprinio with the traditional treed system. The tradition that in the sixties relied on a more quantitative conception of production, converted the Numerooso into conferencers of the company Buton with a supply of about 100 tons of asprinio per year as base wine of the famous sparkling wines and brandy in vogue in that period. The first fundamental turning point was due to the happy intuition of the friend Gabriele Lovisetto, then director of the same Buton, who at the beginning of the seventies convinced the family to carry out the innovative large-scale transformation of the vineyards passing from the tree to the more modern guyot or silvouz. But it was towards the end of the seventies that the Numerous company started the first experiments in the sparkling wine production of asprinio which, in the light of the first satisfactory results resulted, in 1982, in the "I Borboni" brand. And it is precisely at this stage that the peasant character of Cav. Nicola Numerooso reveals himself in all his stubbornness, in fact launches his challenge to the recovery of asprinio ď 'otherwise condemned to extinction - until the approval of the practice of recognition before the IGT and finally, in 1993, of the DOC Asprinio. The traditional vinification of asprinio in the caves is thus recovered, dug at 13 meters deep beneath the manor houses, and unique for their environments particularly suitable for conservation, able to ensure fresh, right humidity, light and constant temperature in the arch of the year. The decision to restore the production process in the plants of the historic center represents the firm desire to protect the links with the tradition that the asprinio requires and that the family does not intend to deny despite the undeniable practicality that the wide spaces of the countryside allow but which would change the cycles and therefore the typicity of the product.